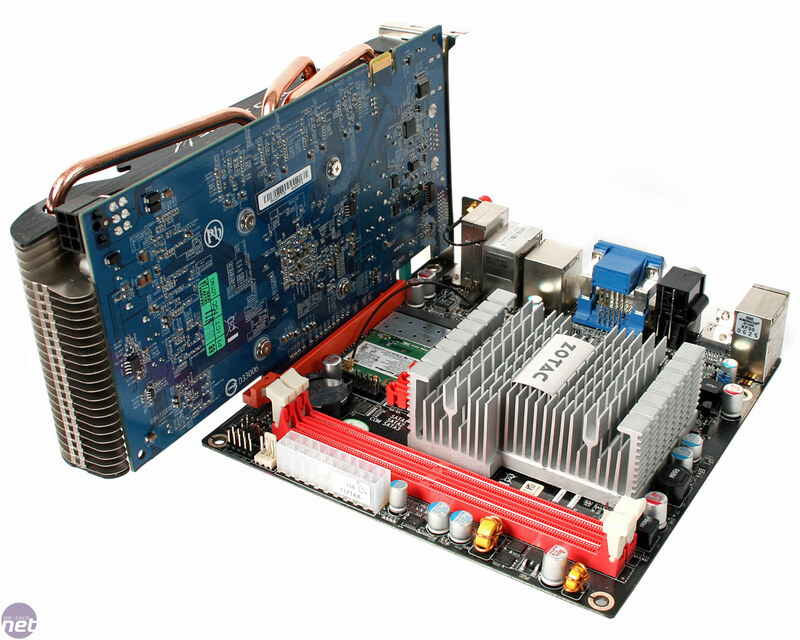 People continually ask us if Nvidia Ion motherboards would make the basis for a good media PC. Previously we've found that in Windows Vista, getting the right software support to play video files was at best, a pain, however Windows 7 has improved HD video performance no end. We liked the Viewsonic VOT which offered Ion and 7 in a neat little package, but it was too noisy. More recently we've looked at an ASRock Ion machine with a Blu-ray drive that does a similar thing, sans-OS, but also includes a tiny, noisy fan. Clearly what's out there isn't ideal. While Windows 7 has improved how Ion machines perform, it's still a full-fat commercial OS that's arguably overkill if you just want to run a few basic HTPC apps. With this in mind, I decided to go back to Ubuntu and see how it combines with Ion. Once a year I make this trek, but I'm biting my lip for a reason: I'm also revisiting "social media centre" Boxee to see what's improved. And trust me what I say, it couldn't be more different than our first look. The other reason we've gone back to Ubuntu with this setup, is that Nvidia now offers GPU accelerated video on Linux with its recent beta drivers. This means we can now let the Ion GPU take the strain for HD content where previously the Atom coughed and whimpered. As Boxee is built on the fantastic XBMC base, which includes the capacity for GPU acceleration - the three together, in theory, make the perfect complement. 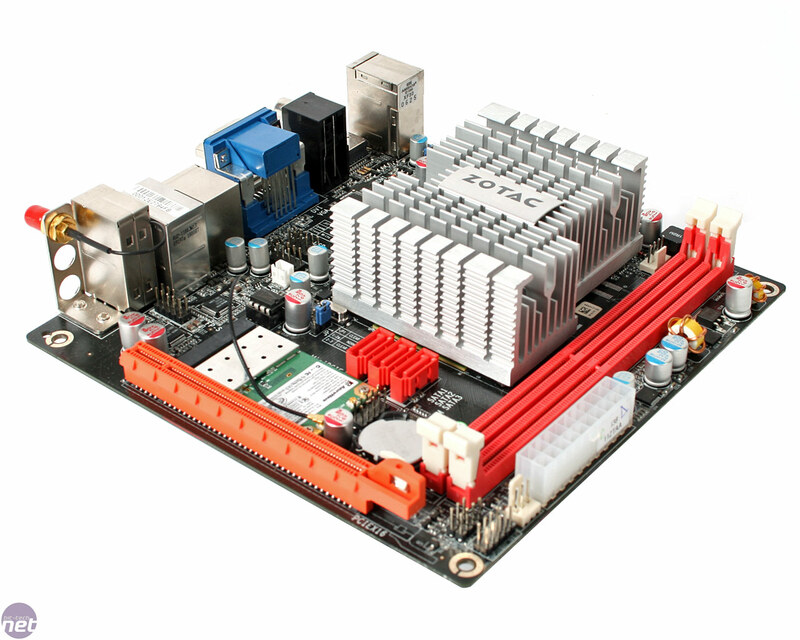 On the hardware front we opted to use Zotac's new Ion-F motherboard (with a PCI-Express x16 slot, no less), powered by a Be Quiet! 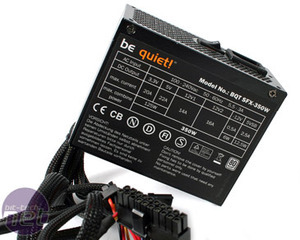 SFX 350W PSU because it's small and quiet and a Kingston V+ 64GB SSD for similar reasons. For all intents and purposes this made our Media PC silent. Yes, silent, as in "cannot be heard". The only fan is in the PSU and we were pressing our ears to it to tell if it all was on. 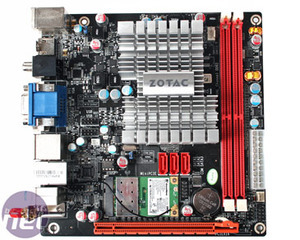 The Zotac motherboard can be run passively, although a thin 80mm fan is included in the box. 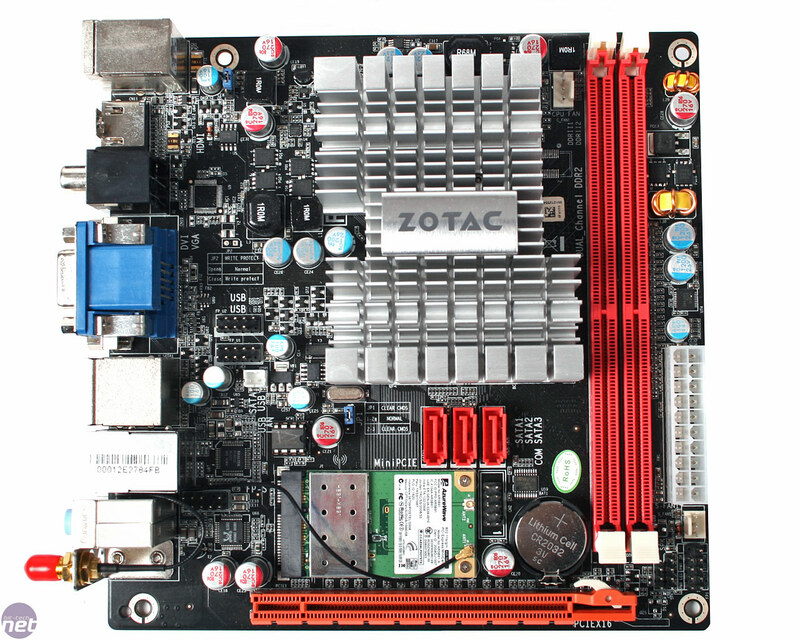 The Zotac Ion-F is a mighty bit of mini-ITX engineering: several SATA and one eSATA ports afford lots of potential for storage, so despite our single small boot SSD not offering much space it won't be hard to drop in a few terabyte drives. The rest of the board's features are great, too: 802.11n WiFi, PCI-Express x16 Gen 2.0, optical and co-axial S/PDIF out, HDMI, DVI, D-Sub, Gigabit Ethernet, six USB 2.0 ports (with four more via pin-outs) and finally a PS2 keyboard socket. Underneath the super sized passive heatsink, there's a dual-core 1.6GHz Intel Atom N330 CPU and Nvidia Ion MCP chipset. It might be packed with features, but the board does have downsides. The Zotac only needs a 20-pin ATX power connection from the PSU, but be aware you can't use a PSU with a fixed 24-pin connector as Zotac has put a capacitor in the way. Of the six SATA ports supported by the chipset, only three are offered despite the physical space for more. Also, what about some colour co-ordination for the pin-outs? There are labels written on the board but in the corner of a small, dark case colour is easier to see than teeny tiny letters. This Gigabyte, passive 9600GT dwarfs the tiny motherboard and is there for size comparison only. 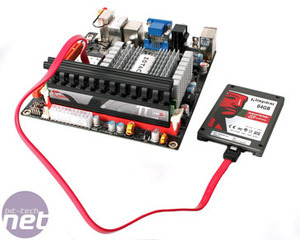 The SATA ports are not that easily accessible either. For the record - we did not use the 9600 GT or any additional graphics card in the article: we simply used the onboard GeForce 9400 GPU. We used an equally small SFX 350W Be Quiet! 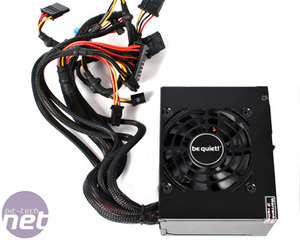 PSU in this build. It's not inaudible, but it is really very quiet and offers oodles of power for a tiny build should you want to use a graphics card or many hard drives.